As consumer demands increase, the connection between customer experience (CX) and profitability deepens. According to Gartner, 89% of companies now compete primarily on the basis of customer experience. Clearly, the time is ripe for a more sophisticated approach to delivering remote support. Organizations need to realize hard cost savings in reduced site visits and call times. Agents need access to innovative features including multi-platform support and remote diagnostics. And customers now expect a consistent conversation across channels and devices. 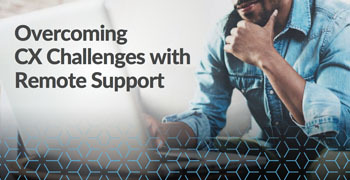 Fortunately, the right remote support tool can help businesses overcome these obstacles and create a consistent customer experience.